Astra is a free responsive WordPress theme useful for creating multiple types of websites. Created with much care and attention to the simplicity and beauty, this theme offers a sleek and user-friendly design. You can create a wide range of business websites, blog as well as portfolio websites using this theme. 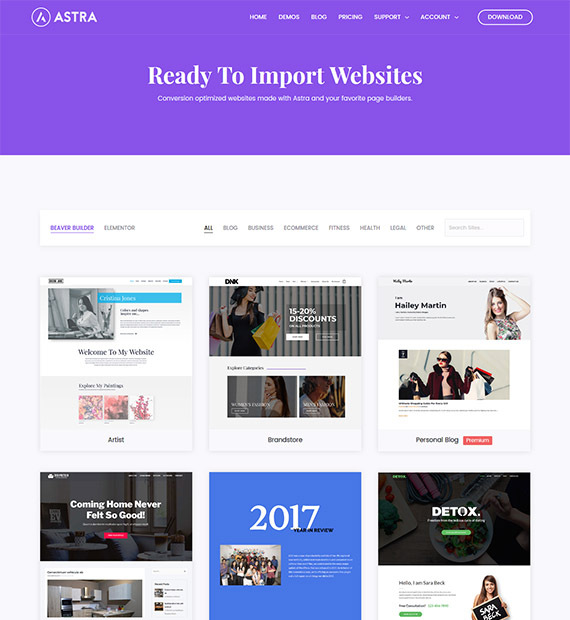 The theme also offers a number of ready to import theme demos created by the professional designers in the house. You can instantly create a website of your own using the theme demos. Download the theme today and start your new site.